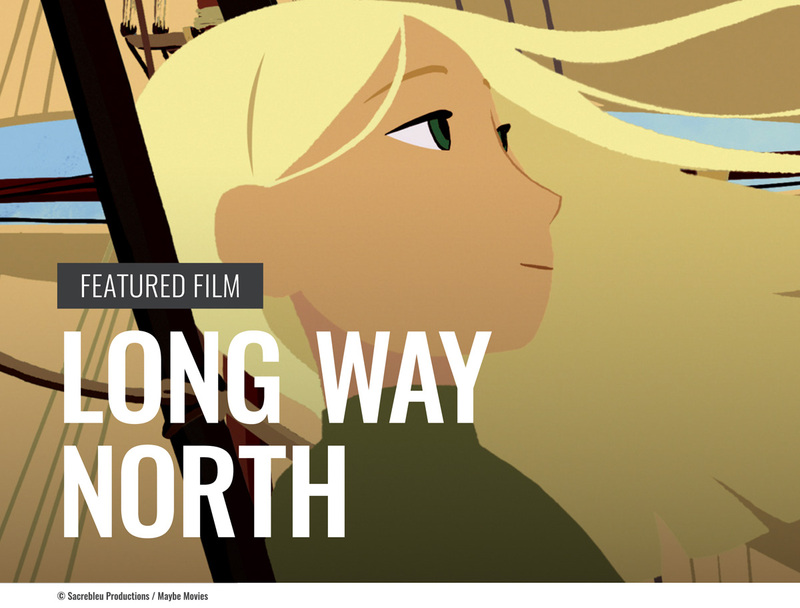 Long Way North is a beautifully told and visually stunning film. It is about a young Russian aristocrat named Sasha, who goes on an epic adventure to the North Pole to find out what happened to her grandfather and save her family’s honour. It was produced by the French studio Sacrebleu productions along with co-producers including French studio Maybe Movies and Danish animation studio Nørlum. We met with Rémi Chayé (the director of the film) and Liane-Cho Han (the animation director) to ask how this beautiful film came to life. He developed his career in animation since then. From 1995 to 2004, he worked as a technician and a supervisor for animated films, mostly serials, TV series and TV specials. During this period, he started being asked to direct small films here and there. However, he felt that he was not skilled enough to do it, which led him to going to La Poudrière, a prestigious animation school in France dedicated in providing specialised education to prospective animation directors. He recalls his time at the school was great and it was in his early 30s. In case of Han, he says that he is lucky to be able to watch such a variety of animated content from his early age, especially Japanese animation like Dragon Ball. Watching diverse animation had a big influence on his generation in France. His affection for animation leads to discovery of animated features such as Princess Mononoke (1997) and Grave of the Fireflies (1988) in his teenage years. He recalls his encounter with these animations, “It was really a huge shock. I wanted to draw and work on these kind of things. But it wasn’t really clear in my head that it was animation. I just wanted to work on that and I didn’t draw at the time, it was only my sister, who drew since she was little.” After graduating from high school, he decided to draw. He says, “I had to learn how to draw in a very short period of time. I had to work very, very, very hard. It was very difficult to be accepted to Gobelins, very, very, difficult.” He never gave up, and managed to become accepted at Gobelins, which is one of the top animation schools in France, after his hard work while failing admission three times. 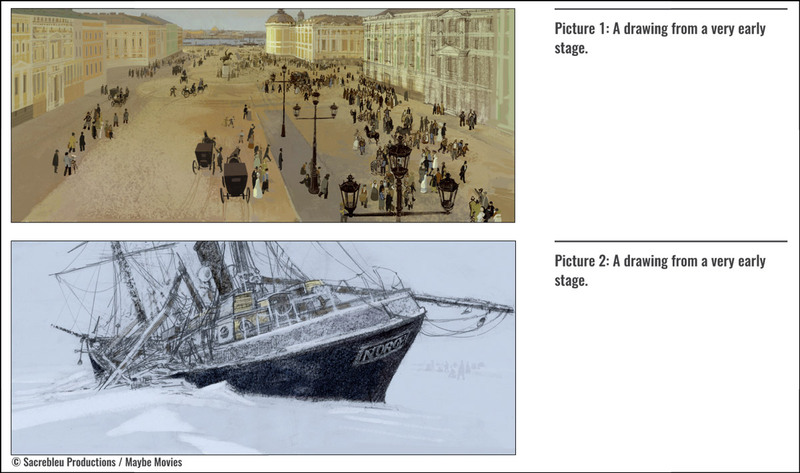 At his time at Gobelins, he discovered the animation industry and acquired the skill to animate. 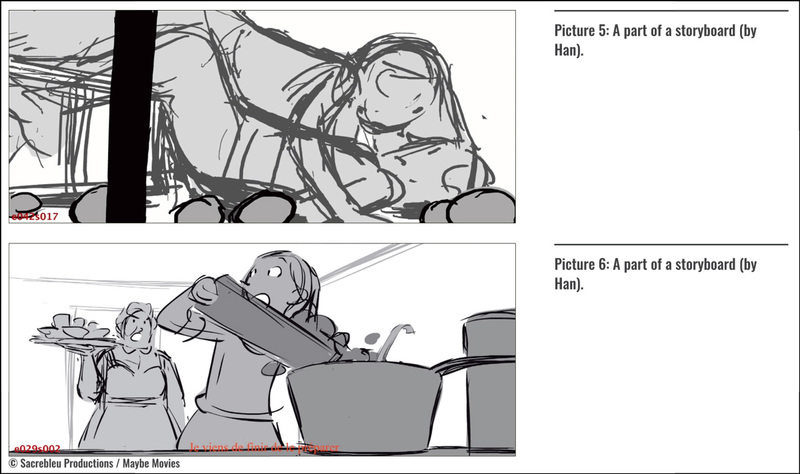 Han had gained experience as a storyboard artist since then. 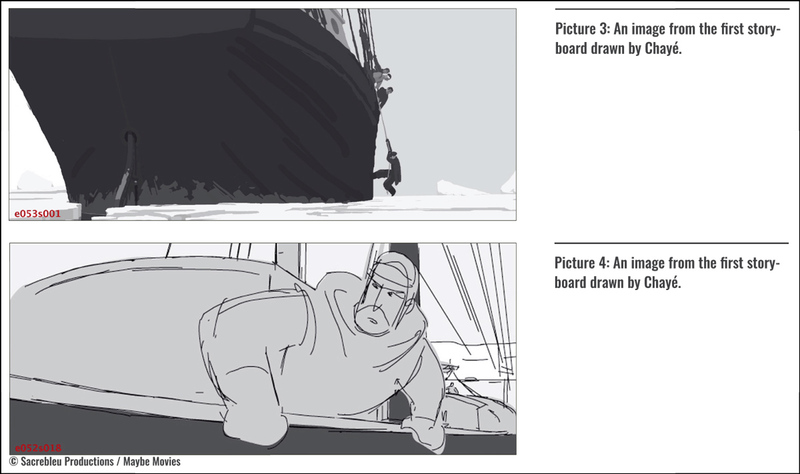 Two years later in 2013, he received another opportunity, where Chayé was looking for storyboard artists. 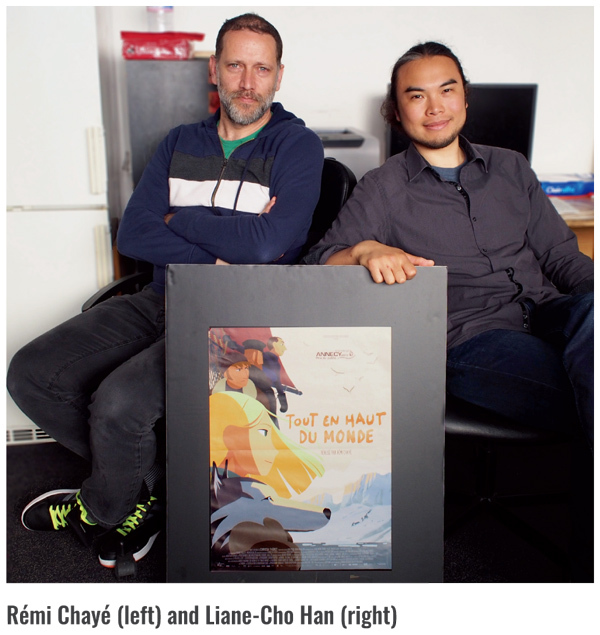 Maïlys Vallade, who was working on the storyboard of Long Way North, convinced Chayé to see Han. That is when Han showed his work to Chayé, and Chayé was pleased with Han’s work. This is how they came to work together. Han started as a storyboard artist when he joined the project and moved up to an animation director for the whole team later on. In 2005, the idea of the project had first emerged when Chayé was at La Poudrière. Claire Paoletti, a scriptwriter, came up to Chayé with the original script idea on one sheet of A4-sized paper. Chayé was able to see the mood and the final image of the film from that paper as it was already expressed there. After that, they started working like playing ping-pong between text and drawings and it continued for several years. The story of Long Way North was inspired by Northern Lights by Philip Pullman, which Chayé recalls from his conversation with Paoletti. Chayé explains that Northern Lights was a starting point and developed a story with extensive research, being inspired by various things. The script went through several revisions. “The first script was not good, it was complicated and had tons of basic mistakes in it. We had the help of a second scriptwriter, and then a third one. The scriptwriting had been done three different times, maybe more for each scriptwriter. Basically, we had problems with Sasha because she is a teenager. She had to run away from her parents, and the problem was not to feel that she was a needy girl, but that she did it for good reasons. We had to find a plot that would push her to the North Pole – those were the hardest things”, Chayé says. They had this very open and good relationship as a team which resulted in the engaging story.